When searching for the right company, look to those that have a long term, proven track record of safety, value and success. Centurion Security and Investigations is that company. 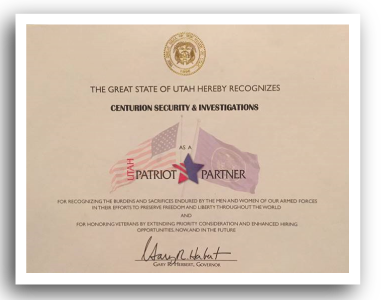 Centurion Security is Utah’s premier locally owned and operated private security contractor. We don’t want to be the biggest—but we definitely focus on being the best. First and foremost, we have a deep appreciation for our local Utah marketplace. We know what’s important to local businesses, we have a deep understanding of labor markets and labor resources, and we understand the unique culture of operating a successful business in Utah. Selecting the right security company can make all the difference. Selecting the wrong security company can end up costing you significantly more money and headaches. National vendors are larger, but they don’t fully understand the Utah mindset. Other local vendors are in the market, but many don’t have the depth of resources and experience that you need. 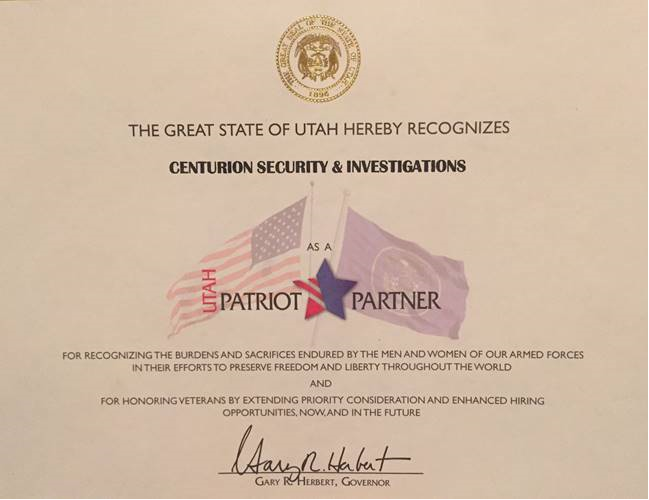 Centurion is the right mix of local expertise and professional know-how to meet the unique needs of Utah customers.